Last year was a particularly difficult one for companies serving “adult liberties.” From cannabis firms to alcoholic-beverage makers, the final quarter of 2018 severely impacted so-called vice stocks. 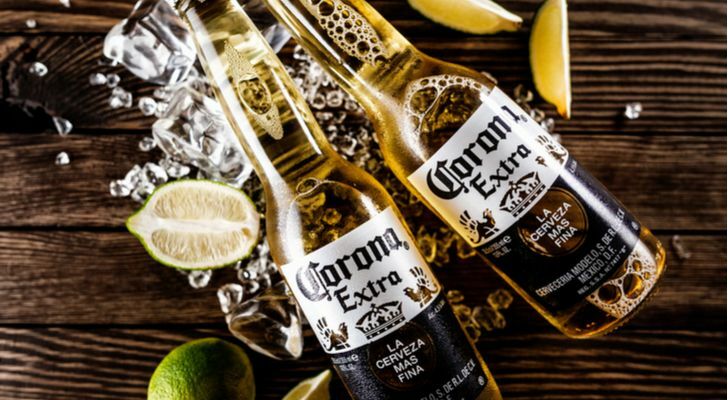 From this bunch, few have suffered quite like Constellation Brands (NYSE:STZ). In December alone, STZ stock gave up more than 18% in the markets. When all was said and done, Constellation Brands lost shareholders nearly 30% last year. Initially, such ugly volatility appears misaligned with the fundamentals. In the last STZ earnings report for the second quarter fiscal 2019, management delivered a resounding beat. Against a consensus earnings per share target of $2.60, actuals came in at $2.87. While that robust beat sparked a rally in STZ stock, momentum fizzled quickly. Later, the price action transitioned into despair as shares cratered sickeningly. So what gives? To summarize, Constellation Brands stock has a credibility problem. While the last STZ earnings impressed on profitability and growth metrics, investors noted a small increase in costs and expenses. Ordinarily, this wouldn’t raise alarm. But generally, the alcohol market has witnessed tighter competition. Along with that headwind, management incurred a rise in marketing expenses in its beer and wine segments. Those Modelo commercials that we frequently see during NFL broadcasts aren’t cheap. Further, the company absorbed higher transportation costs. Undoubtedly, though, the most conspicuous challenge for STZ stock remains its stake in Canopy Growth (NYSE:CGC). During the cannabis industry’s dramatic run-up, Constellation’s leadership team looked like geniuses. But in the October fallout, the marijuana bubble burst. Yet management maintains a keen eye on CGC. Such sentiments draw attention to the balance sheet for Constellation Brands stock, which is weighed down with high debt. Can the organization change the narrative for the upcoming STZ earnings report? Some of the bearishness in STZ stock is well-justified. The marijuana industry got overheated, while the company’s financial status is questionable considering the broader market volatility. However, management has a viable opportunity to make its contrarian case. Heading into Wednesday’s Constellation earnings report, consensus estimates peg Q3 EPS at $2.06. This lies in the lower end of the forecast spectrum, which ranges from $2 to $2.16. An earnings beat here would go a long way. In the prior-year quarter, Constellation hit an EPS of $2 against a $1.89 target. Therefore, merely reaching the consensus in this go-around will only yield a 3% year-over-year lift. On the revenue front, covering analysts expect $1.9 billion. In the prior-year Q3, the beverage-maker hauled in sales of $1.8 billion. Again, a positive surprise here could spark a significant move up in Constellation Brands stock. In recent years, annual revenue growth has noticeably declined. Word on the street suggests that most investors are net bullish on the upcoming STZ earnings report. Moreover, they strongly believe that STZ stock will move higher from the disclosure. While anything can happen in this crazy period, the sentiment has logical rationale. Constellation is first and foremost a beer-and-wine company. In that regard, STZ stock enjoys powerful demographic tailwinds. Millennials have broken from prior generations’ consumption behaviors, gravitating towards wine at an earlier age. Significantly, young women are stepping up into the wine world, probably due to the tightening wage gap. Most importantly, this trend is evident internationally. On the beer-drinking side, the under-30 crowd prioritizes high-quality brew. This explains Constellation’s strong revenue trajectory relative to low-cost leaders like Anheuser Busch (NYSE:BUD). Young drinkers love experimenting, and that sentiment won’t go away considering America’s increasing diversity. So long as management doesn’t disclose shockingly terrible numbers, I believe STZ stock is primed for a nearer-term recovery. Although the Q3 report likely won’t address every concern, the positives outweigh the negatives. For instance, Constellation must maintain and perhaps ramp up its marketing and advertising expenses due to the tough competition. However, the company holds a trump card: its core products resonate with the emerging generations. Also, I feel that Wall Street has unfairly conflated Constellation Brands stock as a pure marijuana investment. Yes, management will dive deeper into this arena, but for now, they’re not giving up their bread and butter. Finally, the markets have substantially discounted STZ stock. We haven’t seen prices like this since the spring season of two years ago. If you missed the boat earlier, this bear market is giving you a second chance. Article printed from InvestorPlace Media, https://investorplace.com/2019/01/undervalued-constellation-stock-can-score-a-pivotal-win-in-q3/.